Have you ever heard the story about the mom who was invited to a dinner at the white house to receive some award and in her nervousness began cutting the meat on a senators plate because she was on auto-pilot from doing it so often with her own kids? She was mortified, the senator was amused. Maybe this story is an urban legend, but now that I’m a mom, I could easily see myself doing something similar. A few years ago I was cross-country skiing with another mom & her husband. It was this moms first time skiing and she was a bit miffed at how good her husband was. At one point we had to “duck-walk” up a hill & her hubby quickly passed her while she awkwardly kept sliding backwards down the hill. She frustratedly muttered “who do you think you are? 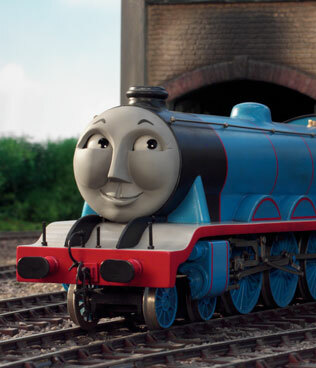 just like Gordon thinking you’re all that chuffing up that hill!” I cracked up knowing exactly which Gordon she was talking about and that moms with young boys can describe life situations by referring to trains. a mama's world with a little boy can quickly revolve around Thomas the Tank characters! I was riding to a conference with two male colleagues and as we drove down the highway I came very close to exclaiming “look! A digger! OOH! A cement truck! wow, did you see that? !” when we passed a construction site. At one point I shared my inner monologue with them and they cracked up since they too have learned the art of entertaining their kids while driving in the car. The other week when I was tutoring Latisha, a 9th grader I meet with weekly to help with school work I broke out in song to encourage her. Not just any song, a Yo! Gabba Gabba song. Without even thinking I busted out with “don’t stop! don’t give up! Keep trying, keep trying, never give up!” Then I realized the whole tutoring center was looking at me and after Latisha stopped staring at me she cracked up laughing at my impromptu American Idol moment. After singing this song to encourage Reuben, it was the first thing I had in my encouragement repertoire even though Latisha is much older than Reuben. it's pretty hard not to love this show when they have people like Jack Black as guests! I'll admit it- I love this show. ← (new) home sweet home! (seriously, when I worked for Gap Kids, we definitely had moms who would hold up two outfits for their child and say, “which one do you like better?” –like, a 6-month old. I had one mom say to me that she “can tell which one he likes by whether he looks it it longer”. Oy vey! I fortunately have not had any mom moments in public. 🙂 Yet. We are the Tiny Ugly GERMS!! I’m not a mom either, but I used to work at a day care, and I volunteered at my church’s nursery for years. While working in the nursery, I took to blowing raspberries on babies cheeks, instead of just plain kissing their cheeks. This wasn’t a problem, and the squeals of laughter didn’t hurt either, until I was visiting my parents. I went to give my mom a kiss on the cheek before bed and automatically blew a raspberry on her instead. Apparently it’s not just parents – kids warp everyone’s brains. I think in general anytime you think it’s appropriate to tell diaper, poop, pee, or other stories of the like in non-parent company, you may have crossed the line. Jeff and I do that all the time. We’ve also had the experience of being alone in bed, in a car, or on a date when we either talk only about the kids or accidentally start singing a song together from a kids show or movie. Lame-o. 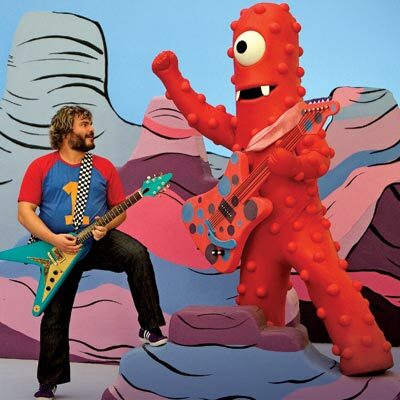 Side note: As for Gabba Gabba, that creeps me out…Emma is forbidden to watch it because that man in the orange in the beginning creeps me out. This blog made me laugh HYSTERICALLY. Thanks for that!